Why go for Study Abroad? Why even study in a nation like Ukraine? You need to understand all these information before you ever consider of leaving the borders of your country to Study Abroad. Below are written some advantages and Benefits of studying in Ukraine. Most of the Ukraine’s Universities are of high standard with highly qualified teachers and big buildings. Old and reputed Universities like Dnepropetrovsk State Medical Academy are globally approved by many medical organizations like WHO, EUROPEAN COUNCIL, UNESCO, etc. Studying medical from Dnipropetrovsk State Medical Academy is quite cheap compared to other many other Ukraine medical universities. Medical education is one of Ukraine’s major concentrations. There are more than hundreds of International students studying medical in Dnipropetrovsk State Medical Academy. Educational System in Dnipropetrovsk State Medical Academy is widely accepted worldwide. Foreign students can apply online. After reading the comprehensive information on the website about tuition fee and medical programs first you have to choose the course. After examining and evaluating all the above-written documents, the university shall notify you of acceptance or rejection. If you will be admitted to the university then they will provide you the Admission Confirmation Letter in one or two working days. You can send all these necessary documents only after receiving the Acceptance letter from Dnepropetrovsk State Medical Academy. The documents can be sent to the Dnipropetrovsk State Medical Academy directly by email or by fax. Note- take care that all the documents should be scanned correctly and should be readable. You can transfer the payment by bank transfer using western Union or Money Gram. After receiving payment and all the necessary documents, Dnepropetrovsk State Medical Academy send you the Admission Confirmation letter, Original Invitation letter and visa support letter by courier. 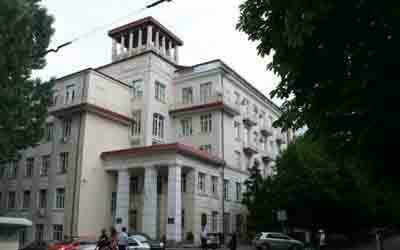 After receiving the invitation letter from Dnipropetrovsk State Medical Academy, scholars should contact the Ukrainian Embassy in his/her state.